Christmas is on the way. A happy and wonderful day for family who celebrates Christmas to gather around and spend some quality time with each other after a whole year of busy work. 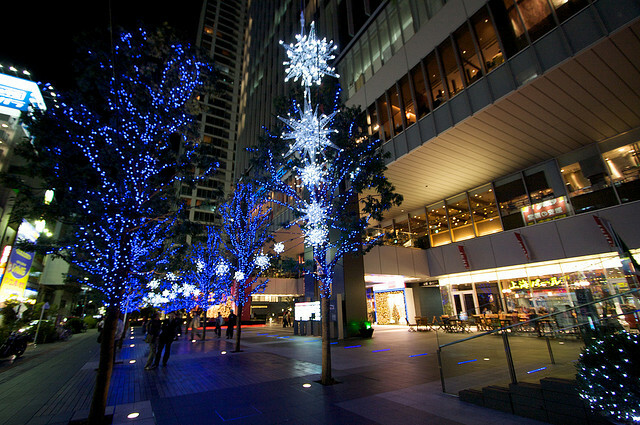 For today's topic, let's take a look at Christmas in Japan! First of all, Christmas is not a national holiday in Japan. 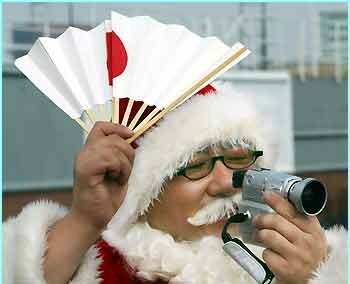 Christmas in Japan is different from western countries. 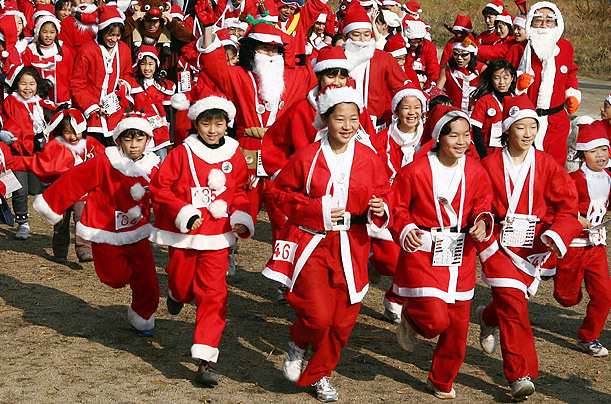 The major religions in Japan are Buddhism and Shinto, so Christmas is more of a commercial event. The main celebration revolves around Christmas eve and not Christmas day. 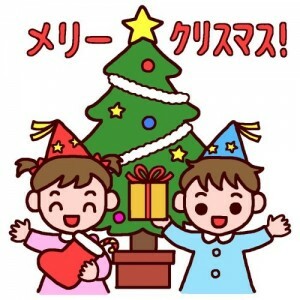 In fact it is said that Japanese celebrate Christmas like Valentine's Day! In Japan it is common to give Christmas presents. Within the family parents give presents to their children, but the children do not give presents to the parents. The reasoning behind this is that only Santa bring presents, so once the children no longer believe in Santa the presents are no longer given. Most Japanese families would have a Christmas tree and now it is becoming very common to have lights on the outside of houses as you would see in the western countries. For single women in Japan it is really crucial to have someone to spend Christmas eve with. It is also really important for them where they spend Christmas eve and what present they receive. The whole evening must be very special, gorgeous and romantic. Japanese women who have a boy friend tend to show off, so women who don't are not happy to talk about the topic. If you watch Anime, you'll be very familiar with this situations, where a character, often female, is looking forward to celebrate Christmas with a male. A great example would be the romantic Anime series, Amagami SS. There also used to be a sarcasm that Christmas is compared with a woman's age. 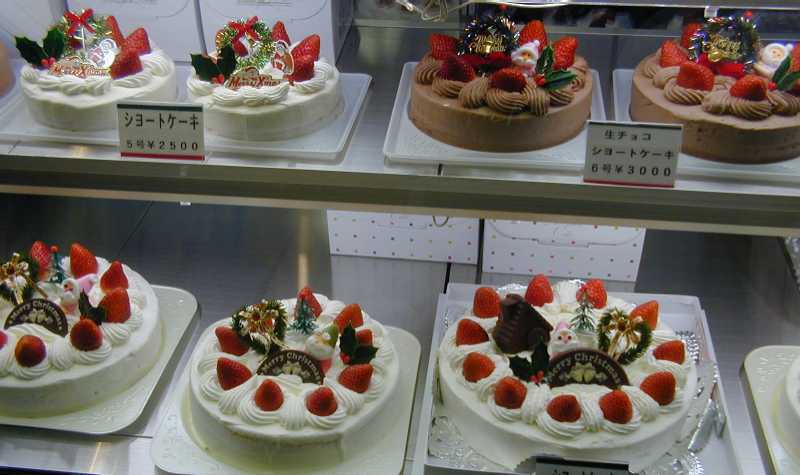 Cake shops throughout Japan always try to sell all their Christmas cakes before Christmas eve. Any cakes left after Christmas are seen to be very old or out of date. Women over 25 years old used to be said 'unsold Xmas cake.' It's a bit bad joke, though. However, nowadays, the average age for marriage has changed, getting older and older, and it is a history. The shops are open Christmas day and all other days up to New Years day, except they close early on the 31st. Most shops are then closed on the 1st, 2nd & 3rd. After this it depends on the shop, some will stay closed longer. The trend is towards shops opening on the 2nd of January. How to say "Merry Christmas" in Japanese - easy - "Merry Christmas"